Dance the night away while listening to the Tim Gill All-Stars Big Band February 11 and 12. You can practice your swing dancing under the stars in the area in front of the ESPN Zone and the AMC Theatres. Reminisce to the sounds of the swinging 1940s with the Swing Cats Big Band on February 13 and 14 in the area in front of the ESPN Zone and the AMC Theatres. Catch a special screening of Casablanca February 11 through 14 at 8:00 p.m. and 10:35 p.m. at the AMC Theatres. 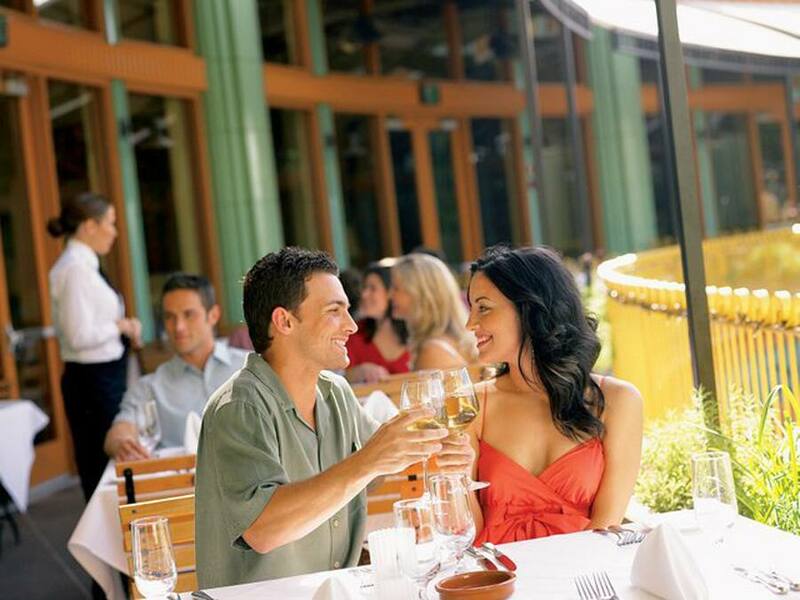 Enjoy dinner on the second floor balcony of Catal Restaurant overlooking the Downtown Disney District. I love drinking a glass of wine, looking out at the lights and watching all the hustle and bustle pass me by below. It’s really relaxing and peaceful up on the balcony, and it’s hard to believe that there’s so much activity happening below. We’ve been having great weather, but in case it’s a little chilly outside on the night of your visit, the waiters will be happy to turn on a heat lamp. Order Bananas Foster and Beignets while listening to some Jazz at Ralph Brennan’s Jazz Kitchen. As far as I’m concerned, it’s not a date unless there’s dessert. For a taste of something different, Ralph Brennan’s offers a sweet taste of New Orleans. 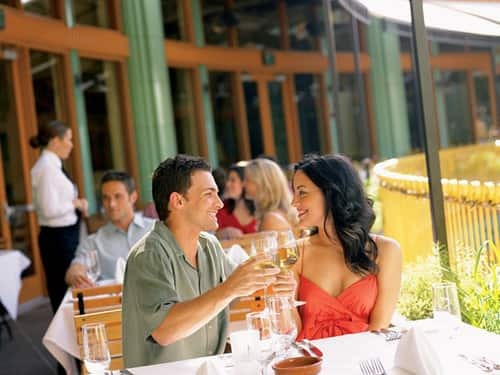 This is also an example of a date that doesn’t have to cost much. Six beignets are just $7.50. 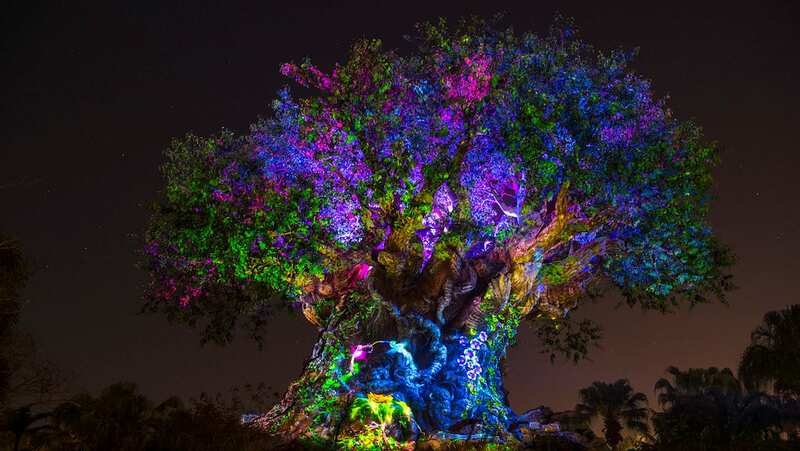 Sit on a bench sipping your favorite coffee drink from La Brea Bakery Cafe or Compass Books Cafe and listen to Drew Tretick, a violinist appearing regularly at the Downtown Disney District, or dancing to sounds of the Tino Band. If musical street performances are what you’re after, be sure to check the Downtown Disney District schedule when planning date night. Catch a concert at the House of Blues. I certainly don’t do this enough. There are so many great performances at this venue, but don’t take my word for it. Check out who’s performing by looking at the schedule. Enjoy dinner followed by a fun night of games in the ESPN Zone Sports Arena. I don’t particularly enjoy watching sports, but if you’re looking for a high-energy environment and you both want to catch the score of your favorite game, eating at the ESPN Zone is definitely a lively and fun atmosphere. And even I can enjoy the varied menu and the games on the second floor. What is your favorite Disney date night that you would recommend to other readers? Margaritas and appetizers at Tortilla Jo’s and watch the world go by. Simply the best. The first time I was at Downtown Disney a few years I found the musical street performances to be an extremely unexpected treat. Walt Disney World’s Downtown Disney does not have this, so I never would have expected to see area musicians just playing here and there. When we visited last year, I almost enjoyed the music more than the shopping! Last year, I particularly enjoyed Alturas and the violinist. You never really know what kind of music you’ll hear! Grab a glass of wine at the cozy wine cellar below Hook’s Pointe restaurant (Disneyland Hotel), and enjoy the complimentary cheeses, breads/crackers and fruit. My husband and I have been coming to Disneyland for years, and we only recently discovered this hidden gem.